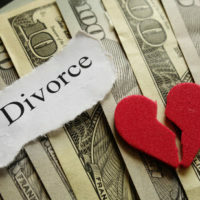 The division of property is one of the more contentious areas of divorce, and it is rare for either spouse to walk away feeling he/she received a fair amount. Only marital property is subject to division in divorce, which generally includes all property acquired during the marriage. Florida requires property division to be equitable, or fair, and starts from the premise that the division should be equal, though courts are permitted to deviate in certain cases. This rule makes sense to most people, and it is easy to identify certain assets, such as the family home, as being a direct product of the marriage. Other, less obvious, assets may end up in the marital estate pool, and may make a larger difference in the long-term financial stability of a party than the proceeds from the sale of a home. Investment accounts, retirement benefits and inheritances are forms of property that tend to fly under the radar, since only one spouse is usually listed as the account owner, but can have a huge impact on a party’s financial worth. Inheritances made to a single spouse, in particular, would leave most people assuming it was exempt from the marital estate as separate property. This assumption is generally correct, but there are circumstances where inheritances, even those received before the marriage, could be considered marital property, and thus up for distribution. A discussion of when a court could deem an inheritance to be a marital asset, and available methods to keep inherited property separate in case of divorce, will follow below. Florida law classifies non-marital assets as those acquired before marriage by either spouse, and those received as the result of a gift or inheritance from anyone other than a spouse. Gifts and inheritances retain their status as separate property regardless of when they are received, unless evidence is presented to argue this classification is incorrect. Non-marital assets can gain the characteristics of marital property and entitle each spouse to a portion of property’s value if marital funds are used to improve or contribute toward the appreciation of the non-marital property. For example, if one spouse owns a piece of real estate purchased before the marriage, and decides to use funds from a shared bank account to build a home on it after getting married, this is viewed as commingling marital and non-marital assets, which takes away the protection given separate property in divorce. If a person wants to protect inherited property from claims in divorce, the most effective method of preserving its status as non-marital property is to execute a prenuptial agreement that directly addresses how property distribution is to be treated if the marriage ends. These agreements require careful drafting to be effective. Therefore, if someone has received or expects to receive a substantial inheritance, an attorney should be consulted about protecting it from claims in a divorce. In addition to a prenuptial agreement, another way to avoid turning an inheritance into a marital asset is to avoid any commingling of marital funds or assets with it. This means keeping the inheritance out of the marital banking account and not using community funds to improve the property. Complete avoidance of commingling marital and non-marital assets may sound easy, but it does require careful planning and attention in practice. If keeping an inheritance separate is a concern, working with an attorney is the best way to fully protect one’s interest in the asset. Sorting out issues linked with divorce is rarely easy, and more often, the parties will disagree on some points. Property division is a central issue that should be addressed early in the divorce process to ensure you receive your rightful share of the marital estate. Sorting out property rights in a divorce can be tricky, and the services of an experienced attorney, like Fort Lauderdale’s Joyce A. Julian, P.A., can substantially influence the terms of the final settlement. 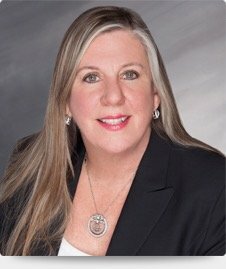 If you have questions about divorce and need an experienced attorney to fight for your interests, contact the office of Joyce A. Julian to learn how she can help you.